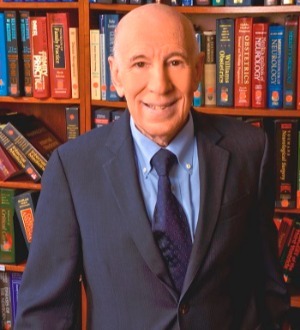 Steven E. Pegalis is the founding partner of Pegalis & Erickson, LLC and one of the nation’s foremost medical malpractice trial lawyers. In his nearly 50 years practicing law as an advocate for seriously injured victims of negligence he has obtained some of the highest jury verdicts. He is most proud of providing peace of mind, a sense of justice, and financial security to more than 2000 clients to date. Stacks of photos and thank-you notes from clients’ families are among his most prized processions. He believes his team’s personal investments in each case are without peer, and has resulted in consistent success for patients year after year. He and his firm have worked tirelessly with some two thousand injured individuals and their families. For example: in 1998, he obtained a $116 million jury verdict for a brain injured child, and in 2004 he obtained a $111.7 million verdict for a brain injured child. Pegalis is the only lawyer to be named both the 2017 “Lawyer of the Year” on Long Island, for Plaintiffs’ Personal Injury Litigation, and the 2016 "Lawyer of the Year," for Plaintiffs’ Medical Malpractice lawyer in New York, by Best Lawyers© and Best Lawyers in America®. The “Lawyer of the Year” distinction reflects the high level of respect a lawyer has earned among other leading lawyers in the region and practice areas for their abilities, professionalism, and integrity. Additionally in 2016, Pegalis was honored with a Lifetime Achievement Award by the New York State Trial Lawyers Association (NYSTLA). In 2015, Pegalis was named co-director with Irwin R. Merkatz, MD, of the Patient Safety Project initiative at New York Law School (NYLS), focused on making significant contributions to medical safety and promoting innovative health law policies for the public good. Also in 2015, Pegalis was honored with the Nassau County Bar Association's WE CARE Fund award. Pegalis is the author of American Law of Medical Malpractice, Volumes 1-3, now in its 3rd edition. He is an Adjunct Professor of Law at NYLS, serves on the school’s Board of Trustees, and was honored with school’s Groundbreaker Award for a lifetime commitment to his clients, and successfully pursuing their rights with passion. Pegalis is an advocate of the American Board of Trial Advocacy, a Dean of the New York State Trial Lawyers Association, and a member of the American Association for Justice, and the National Board of Trial Advocacy. He is an Associate in Law of the American College of Legal Medicine, and is AV rated on Martindale-Hubbell for professional excellence. Each year he is voted to the Best Lawyers® List in New York and the New York Super Lawyers List. Pegalis has lectured extensively on medical/legal issues, and contributed his experience and viewpoint to numerous articles and publications. Click here for a list. He is admitted to practice in New York, the U.S. Court of Appeals, 2nd Circuit, and the U.S. District Courts for the Eastern and Southern Districts of New York. He holds both a Juris Doctor and Bachelor of Law degree from New York Law School, and a Bachelor’s Degree from Queens College of the City of New York.